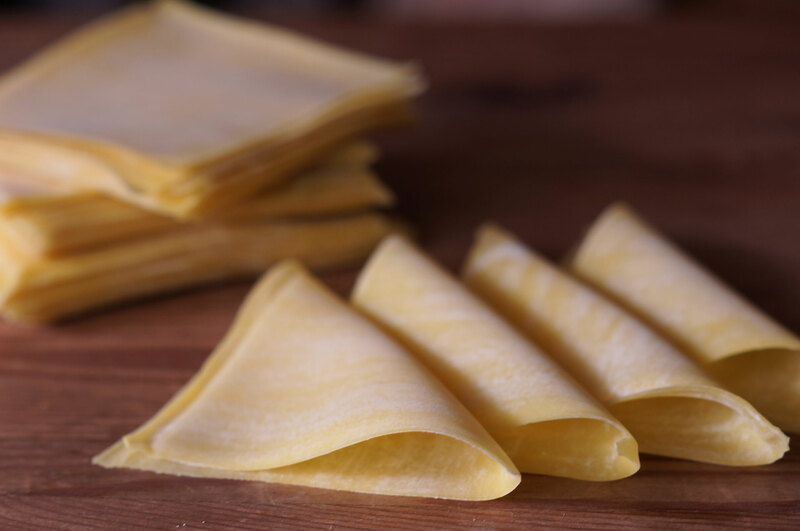 Velvety smooth and supple our handpicked egg wanton wrappers are made fresh every day following a time-perfected recipe. Available in round and square shapes to suit different wrapping styles and cooking requirements. Egg wanton wrappers are used mainly for Cantonese or Hong Kong style wantons. They are thinner and softer, yet able to hold up better in boiling water. 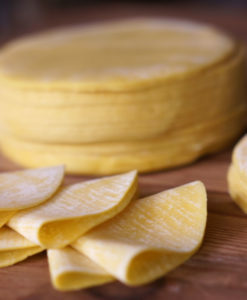 These wrappers are perfect for making deep fried wantons as well as dim sums (think Siew Mai). Top with favourite filling and fold into desired shape. Cook wantons for 2-3 minutes in boiling water, or until they float to the surface. Serve in a broth or with a dripping sauce.